Notes: The morning was grey and dreary again, but I was surprised that, by lunch time, the sun had come out and it looked like it would stay for a while. So I took a wander around the muddy towpath at Paper Mill Lock during my lunch break. Multum In Parvo is about half a mile downstream from the lock. 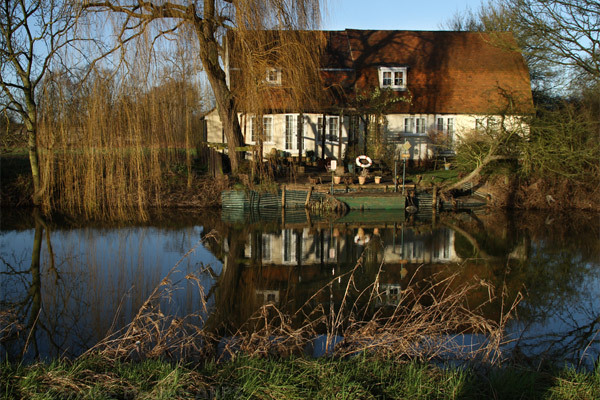 This cottage looks like an idyllic place to live – until the canal floods, of course!